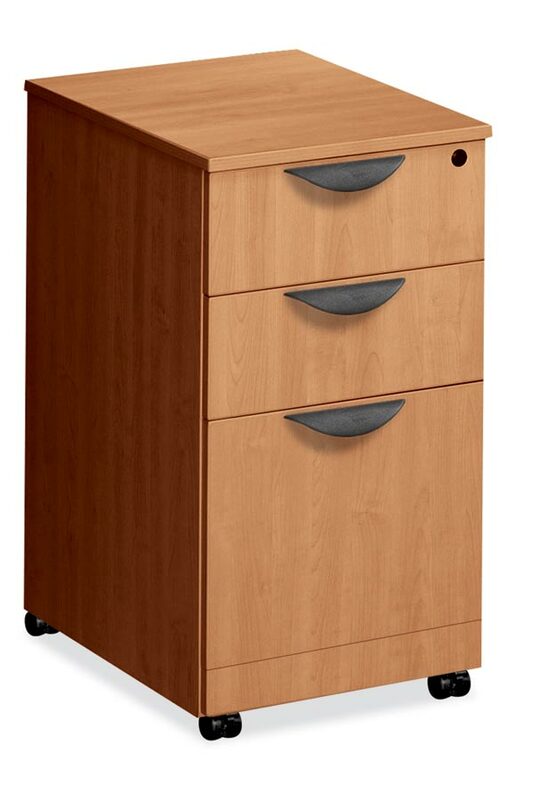 3 Drawer Mobile Pedestal Box/Box/File. Includes Lock & Pencil Tray. Thermally fused laminates with 3 mil PVC Dura-Edge detailing on all-exposed edges. Fully assembled and lockable. Full ball bearing suspension for letter or legal filing. 5 Year Limited Warranty. Overall Dimensions: 15.5″W x 22″D x 28.5″H.